Jungle Red Writers: Why Didn't I Think of That? RHYS BOWEN: I don't know about you but I'm a big fan of Shark Tank. I often marvel at the clever but simple things that the inventors come up with and I find myself wondering "Why didn't I think of that?" The one that sticks in my mind is the sandals that are just a base with different snap-on tops. You can go from beach to ballroom with one pair of shoes. Brilliant. (Of course some of those inventions are distinctly weird). But I have to confess that occasionally I come up with a Shark Tank-worthy idea and think "I wish someone would make this because I need it right now. " My pet peeve has to do with showers and towels. The shower head is up in the air ,above my head, making the washing of lower parts annoying. How to you wash between your toes in a shower and keep your hair dry? Inquiring minds want to know. You come out of a shower. You have to grab the towel and it's never big enough to wrap around all of you and you get cold. 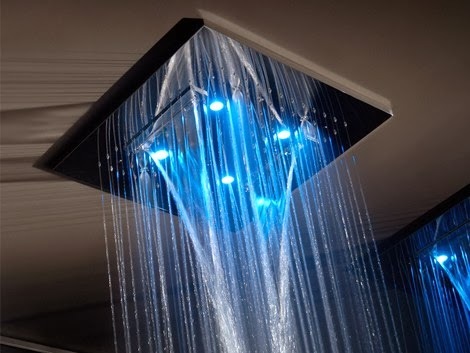 So why can't they design a shower that you can program to spray little jets at only the parts of you that need it? One could change the force of the sprays to get a great back massage, or calf massage. Then when one was clean, you just switch the jets to blowing warm air instead and voila--you are dry all over in seconds. you step out of the shower ready to get dressed. If I had time and energy, I'd take it to the Shark Tank. I'd also like a pair of stunning, Hank-style shoes that don't hurt my toes. So how about you, Reds? Do you have a particular invention you wish someone would design and make right now? HALLIE EPHRON: Oh, now you started me thinking about shower heads... I once stayed in an inn with a shower that I'm sure was a converted closet. Narrow. And the shower spewed water over my head so I had to jump up and down in it to get wet. And I'd like someone to invent a new pair of feet for me so I can wear Hank-style shoes. LUCY BURDETTE: I have just recently visited my brother and his wife and they are the proud owners of a new hot tub. They spent a lot of time picking it out. Apparently you can't choose by just sitting in the tub at the showroom, you have to get in the tub filled with water and test the various jets to make sure they hit your back and neck exactly right. We ought to be able to do that with a shower too, right? Rhys, I do admire your idea of the blow dryer in the shower--kind of like a car wash.
RHYS: I'm challenged in that department too, Lucy. But I have grandkids. They know everything. 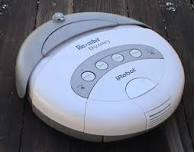 And I really wish someone would come up with a robo vacuum that really worked. We tried a Roomba when they first came out. Conclusion: A great idea if you have a big, empty room with no furniture, no electrical cords, and no PETS. HANK PHILLIPPI RYAN: Really good spellchecking. I simply cannot type accurately, and if I left all the errors in this, you'd never be able to read it. But bad spellchecking is worse than no spellchecking, we all have examples of that. Personally? A way to keep iphones and etc charged without plugging them in all the time. My first moment in a hotel room, I have to look for plugs. (Well, my first first moment, I wonder if my room key will become de-magnetized between the time I get it and the time I arrive at my room. So I wish they'd invent a room key that's reliable.) Then--I try to figure out the shower. Shower head is one hurdle. Also..which way is HOT? RHYS: And why does every shower turn on and adjust differently? There is nothing worse at the end of a long, stressful day to be hit on the head with a blast of cold water! JULIA SPENCER-FLEMING: My "why can't they do this" has to do with standards, not inventions. Why can't we have universal standard controls for devices that everyone has in their homes? I know how to use my microwave perfectly well. Why, when I'm defrosting frozen dog food at my neighbors' (small homemade organic dinners, for those of you wondering) do I have to stand there puzzling out how to get medium heat for one-point-five minutes? Why is it when I visit my sister I can't even figure out how to turn her entertainment system on, let alone stream Netflix? RHYS: We all agree, Julia. Standards. Conformity between devices. And a decent shower. But how about you out there? What would you invent to make our world an easier place? Since I dislike driving more than any other thing I do, I’m holding out for a car that drives itself to get me wherever I need to go . . . . I want transporters that beam or hurl us individually across oceans and continents. No more crowded airplanes. Oh, and a robot to carry out the garbage. The bags are increasingly heavy with wine bottles. That would be an even better way to get around! I've actually wished for that ever since Scotty first started beaming the crew around . . . . I love Shark Tank. Those folks are so clever with their ideas. Like Joan, I would love a car that drove itself, but based on this weeks CBS Sunday Morning, we are closer than you might think to that. Their segment on a car that does just that was excellent. And I completely agree with Julia. Why do I need an advanced degree to turn on the TV and work the microwave? Beam me up, Jack. After our recent 24-hour journey each way to Tanzania, hauling heavy luggage (mostly cameras and lenses of my photographer husband), I'm still exhausted, sore, and travel-weary. The airlines do nothing to make things more comfortable (despite their cheery reassurances on every flight) unless you're lucky enough to fly first class. I confess to deeply held envy and resentment when shoving my way through the down comforters and comfy, lie-flat BEDS in first class at the end of a long, brutally squished, overnight flight. Teletransportation looks better after every such flight, and I find myself yearning for such a thing. Showers: every shower we own has a hand sprayer attachment. For one thing, it's way easier to clean the shower with a sprayer with a six-foot or longer hose than with a regular showerhead. For another, it's easier to wash the undercroft with one. A friend's parents, ingenious people, redid their first-floor bathroom so the entire thing can be hosed down and drained through the tile floor. When I was writing for a local magazine earlier this year I interviewed a prominent designer about trends in kitchens and baths. He said barrier-free is the way to go in bathrooms, with totally open floor space so it's easier to clean. The next time we are able to redo a bath I'm on-board with that idea. These new rectangular drains make it really easy to make that happen. Just slant the whole room very slightly to that long, skinny drain. Brilliant. The item I would like has already been invented-I once met someone who had one-and that is an office desk that can be adjusted for height. I cannot sit for long periods, and if I could change my desk height so I could stand and work at my desk for a few minutes at a time, I would be more comfortable at the end of the day. I would love it if someone would find a way to combine the adjustable height desk with the one that has a treadmill attached! My employer probably would not want to pay for such desks unless someone could convince the poweres that be that using these desks could cut down on back,neck, and joint problems, not to menton illnesses associated with inactivity. Powers! Not poweres! Cranky thumbs today! Deb, one of my daughters has a standing desk at work. Her company bought it for her, which was really nice. She especially likes it in her new, sub-grade office. If she's standing she can see out the high window, where she gets a little peek at the Flatirons in the Rocky Mountains near Boulder. Jack and Joan--those beams across the oceans. They'd lose your head or send it to Dubai by mistake! I'm all for combining Julia's and Rhys's desires. After all the traveling I've done lately, I'm so tired of having to figure out how the shower works by trial and error in each new hotel room. Set a standard--and make a hand-held shower head a part of it. When I get in exhausted and in pain, I want to walk into the bathroom and know how to turn on that shower and get some relief immediately without futzing around. How about a thing that untangles cords? How do cords so INSTANTLY get tangled? When I was in high school - a LONG time ago - we had to wear stockings. Part of the uniform. :-( I was, and still am, allergic to nickle and my thighs would break out from the metal in garters. (I'd break out from all sorts of metal things.) I wished at the time that someone would invent a way to wear stockings without garters. Lo and behold - pantyhose! And I didn't invent it. Damn. Item #2 - remember those old bonnet type hair dryers? I would take the hose out of the bonnet and hold a brush and blow dry my hair. Took two hands. I thought about inventing a brush that would also blow air. Someone beat me to it. I remember discussing a computer that would fit in the palm of your hand. Who would believe it?! In fact, I remember the time when people were speculating that every home would have its own computer. It was unheard of. I can't imagine what I'd want to invent now. Maybe a way to vote electronically that is verifiable and safe. Good luck with tomorrow's release, Julia! And Karen, that hose-down bathroom would be good for washing the dog too! Deb, from what Karen's saying sounds like you should ask for the standing desk. And Marianne, next time you think of something, slap a patent on it. Sounds like you think ahead of the curve! Deb, I have a rolling laptop table I use when I work downstairs. The height is adjustable and the keyboard surface has an ergonomic tilt. I even roll it out on the deck on nice days, along with my Aeron chair. Upstairs, my desk is a custom made table (from a "furniture in the raw" place." It's lovely--cherry, with Shaker style legs. But I had it built to keyboard height. It makes a huge difference. My big wish? That hotels would come up with work desks and chairs that were at least remotely ergonomic!!! There's no way anyone under 6'5" could possibly write at the damned things, and even tall people would probably get a back ache! On the shower issue--I inevitably turn the stupid lever the wrong way in hotel showers... hate them. As for the hose-down bathroom, great idea, but what about those of us who like to take baths? And why don't Americans make decent bathtubs, I ask you? The Brits do! No wonder most American prefer showers--it's because our tubs are so horrible! I'm with Joan and Jack: Beam me to Paris, Scotty! I've got a fancy t.v., but do I stream movies? No. I can't be bothered to figure out how to connect the t.v. to the Internet. OH...I just realize what I really need. A geek-bot! Marianne, same here! When the personal organizers came out, I predicted that eventually there would be a device that would do it all: keep appointments and contacts, connect to the Internet, and include a telephone. Who knew? Deb, at one of the places we stayed in Tanzania there were two rainfall showers, one indoor and one outdoor (in a garden setting--it was like taking a shower in Eden, simply heaven), plus the most massive tub I've ever seen. Three people could have bathed in it, but it would have take all day to fill the darn thing. And at the last place we stayed, instead of the ubiquitous shower stall, we had an enormous tub in the shape of a stylized pelican, for some reason. Luckily, it included a hand sprayer, because, again, there was no earthly way to fill the monster. We were in the middle of dry, dry bush, and the water came out in a trickle. Ok, everyone thought of really great things !! Mine seems pretty simple in comparison. I hated standing in a grocery store opening egg cartons to see if any of the eggs were broken. Always thought they should make "see through" cartons. . .which now some stores carry, but the companies put their labels on the top. . .so I still have to open them to check inside. I have a shower cap for keeping my hair dry. I feel a bit antique using it, but it works. And we have the hand-held shower attachment, and we only buy bath sheets for the length. But I'd give a lot for the shower/dryer arrangement you've envisioned, Rhys! I want an automatic duster, something that will remove all the dust in the house without me having to climb step-stools or contort around corners! In Denmark the showers are all like that, even in old private homes and apartments. The only place I've seen showers there, like we have here, are a few that are offered in hotels and were called American style. My granddaughters bathroom in Odense is large and has a shower head in the wall. The floor slopes slightly to a drain in the center of the room. It's very convenient and in the States we would call it ADA wheelchair accessible.